“A dream of Manhattan, arising from the South China Sea” -- that is how travel writer Pico Iyer describes Hong Kong, one of the most dazzling cities in Asia. It is immense, flamboyant yet sophisticated. A place where old and new meets at every turn. Get ready to be swept off your feet and fall in love with this city. Whether you are on business or leisure, the modern Park Hotel Hong Kong offers maximum comfort so you can be at your best as you go out and about. It is strategically located in the heart of Tsim Sha Tsui, where a whole colony of shops, markets, bars and restaurants await at your doorstep. The nearest MTR station is within a 5-minutes-walking distance, providing guests easy access to other parts of the vibrant city. From the most local culinary experiences like Yum Cha, Dai Pai Dongs, Cha Chaan Tengs and street snacks to the celebrated Michelin-starred restaurants, this bustling city makes sure hungry visitors leave happy and filled. Yum Cha is perhaps one of the most authentic Cantonese experiences in Hong Kong. Directly translated as “Drink Tea”, this Hong Kongers’ favourite pastime is akin tea break traditions known in the Western culture. Chinese tea like Oolong, Pu’er or Shoumei is often accompanied by a wide selection of dim sum, the bite-size portioned food served in small steamer baskets or small plates. Dimsum in the steamer baskets. "Har Gao", the Chinese shrimp dumplings is popular among the patrons. Macaroni Soup with Luncheon Meat from Tai Cheong. Roast chicken leg with noodles at a local Cha Chaan Teng. A trip to Hong Kong is not complete without eating at Cha Chaan Tengs (茶餐廳). A type of eatery that serves comfort food at affordable prices. These Cha Chaan Tengs can be found everywhere in Hong Kong. Favourite dishes at these humble eateries include Macaroni Soup with Luncheon Meat and Scrambled eggs, Baked Rice with Pork Chop, Hong Kong-style French Toast and “Silk Stocking” Milk Tea (絲襪奶茶). Egg Tart is one of the most famous food item in Hong Kong. “Silk Stocking” Milk Tea and Polo Buns are perfect match during tea time. Polo buns that resembles pineapples. Egg Tarts and Pineapple Buns are the two quintessential pastries in Hong Kong. The Pineapple Buns, often fondly called as "Polo Buns" by the locals as it resembles a pineapple. The bread is topped with a layer of crust similar to a sugar cookie to create a rough surface. Popular outlets like Kam Wah Café serves their Polo Bun with a thick slice of butter sandwiched in between the bun, resulted in a wonderful explosion of sweet-buttery flavours. Park Café serves up a sumptuous international buffet. Although widely famed for its dim sum and milk tea, Hong Kong is a cosmopolitan city where you can find a range of world cuisines. Park Café has a great reputation for its culinary creativity and modern approach for its international buffets. Expect seasonal thematic promotions like Lobster Feast, Vietnamese Lunch Buffet, Strawberry & Kyoho Grape Afternoon Tea Buffet here. The glitz and glamour of Hong Kong’s vibrant nightlife are within reach in the city. The past few years have seen a burgeoning bar and club districts cater to a diverse, fun-loving clientele. Lan Kwai Fong is the main nightlife actions is, with a crowd mixture of expats, tourists and locals. Tucked in a few blocks south of Hollywood Road lies the SoHo, where a line-up of chic bars and hip restaurants treating patrons to a medley of a satisfying meal with a side of tunes. Wan Chai offers Colonial styled pubs with a quaint and nostalgic vibe reminiscent of yesteryears. If you are around Tsim Sha Tsui and feeling a wee bit drinky, head to Marigold Bar. Their extensive range of classic and progressive cocktails programme will surely enliven your taste buds. Whether you plan to dance the night away at the most swanky club in town, or chill and relax at one of the alfresco bars, Hong Kong has the perfect nightlife for everyone. Be mesmerised by the incredible evening view of the harbour’s towering skyscrapers. Take a stroll along the Victoria Harbour Promenade and let your eyes follow the boat or vessels as they pass through. Do not miss the daily 8pm laser show with lights synchronising the beautifully composed music. These iconic double-decker trams have been serving Hong Kong since 1904 and are the coolest way to check out the city. Avoid the early morning rush hours and evening peak time, hop on a tram at central and be enchanted by the aura of bygone British Empire glamour. The top of Victoria Peak offers Hong Kong’s most spectacular views to one of the best skylines in the world. There are many ways to get to the peak, including hiking and taxi but taking the little red Peak Tram is deemed most popular. The tram line overlooks Hong Kong Island, Victoria Harbour and Kowloon. Be sure to sit at the right side of the tram. Beat the early crowd and conquer the steps to see the giant Tian Tan Big Buddha at Lantau Island. Seated in the lush greeneries 34 metres high in the mountain, this majestic bronze Buddha draws pilgrims from all over Asia. Opposite the Big Buddha statue is Po Lin Monastery, home to colourful manifestations of Buddhist iconography. After visiting its pristine garden, visitors may enjoy a meal at its popular vegetarian resort before taking a stroll down the peaceful Wisdom Path. Crowned as the liveliest and the biggest night market in Hong Kong, Temple Street Night Market has everything from souvenirs, imitation handbags, clothing, watches and food. It is a perfect place to pick up random gifts at a low price, as well as savouring a moment of local delicacy at the Dai Pai Dongs amidst the humdrum of the city life. Hong Kong is a fast-paced city full of surprises. 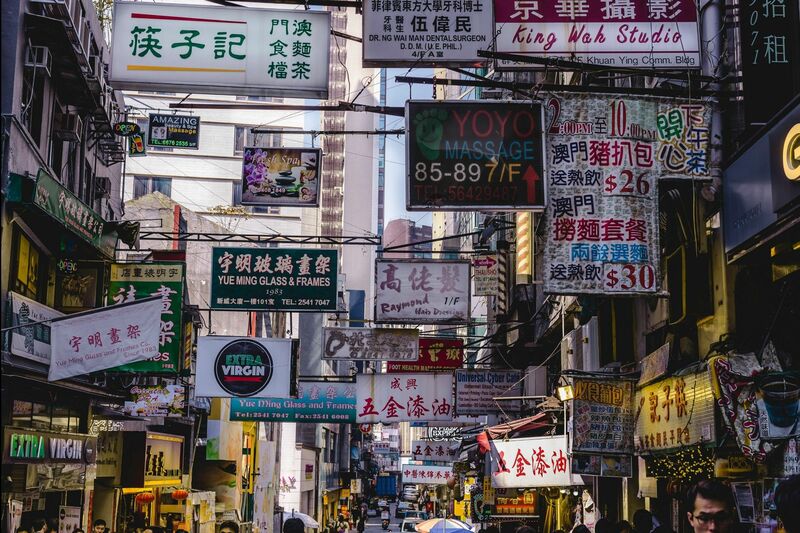 Whether you are looking for an eatery, a place to drink, or to understand its culture and history, simply take a stroll down a street in Hong Kong. Whether it is a hidden park, a hiking trail with lustrous greenery, a hip coffee shop or museum, there is always something in the city that continues to inspire. Longing to escape the city over the weekend? Let see what an art-filled staycation in an urban oasis would look like! First thing first: Which Maldives Resort is best for you?There are a thousand of islands in the Maldives, and each resort offers different experience depending on their targeted customer segments. These are things you should know before selecting your resort.